Today's photo is a Throw-Back-Thursday! No, it's not a cop out...I definitely have been taking photos each and every day, but I've also been backing up all of the photos on my computer (my goodness, I have taken a lot over the years). I keep coming across old favorites that I posted on my old blog, which seems to have mysteriously disappeared... Seriously, I can't seem to find it anywhere online. 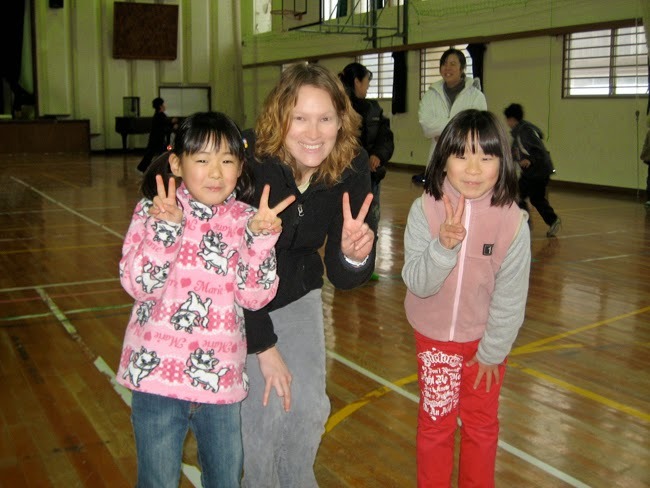 Anyways, this photo is from my first year in Japan (November, I think, 2007). When I started the JET Program I visited 6 different elementary schools, two every Friday. Along with teaching English lessons part of my responsibilities were to "integrate" into the schools. In elementary school, that meant playing. Sometimes it was the last thing I wanted to do, but more often than not it was a lot of fun. I can remember this day, and it was one of the latter.